Maritime Southeast Asia possesses a culturally rich history. From early interactions with mainland Southeast Asia and China, to later commerce with European nations, it is home to many thousands of important manuscripts, mostly dating from the 17th to early 20th centuries, which include languages, materials and art styles from a variety of different cultures – many of which are beautifully illustrated or ornamented. 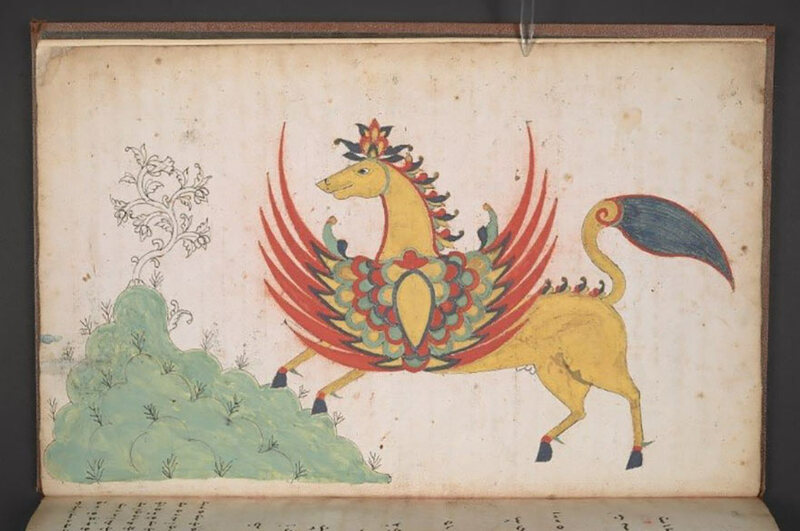 The main aims of this project are to perform a full multimodal non-invasive analysis of the collection of maritime South East Asian illuminated manuscripts at the British Library and to develop AI algorithms to automatically process the data. Currently there are almost no published scientific studies that analyse the artistic materials used in maritime Southeast Asia. Therefore there is a profound need for baseline research using scientific imaging so that fundamental questions about the history of Southeast Asia can be answered. This research would allow for further detailed comparative studies, allowing for greater understanding of the movement, transfer, adoption and evolution of artistic materials and techniques used throughout the maritime Silk Road. Non-invasive imaging, such as spectral imaging and X-ray fluorescence mapping, has become a powerful tool for studying manuscripts and can be used to discover hidden or faded texts, underdrawings in paintings and identification of pigments, binding media and substrates. While non-invasive imaging makes it possible to analyse large collection of manuscripts, it also implies an unprecedented amount of data collection that requires not only automation in the data collection, but also the application of AI techniques for automated data analysis and extraction of information.